Personal injury clients often have questions about what a hearing in traffic court means to their case. Whether the client or the other driver is facing the charge in traffic court, clients can be uneasy about this process. The majority of our personal injury clients have not received a citation related to the collision. However, they can be subpoenaed by the investigating officer to testify as a witness about the collision in court, and should consult with their personal injury attorney before they do so. It is important for clients to understand that anything said in traffic court by either party is an “admission” that can be used by their opponent in the subsequent personal injury case arising from the collision. With that in mind, if liability is contested, or in question, in the client’s personal injury case, it is a good idea to have a court reporter present at the traffic hearing. Another way that the outcome of a traffic court hearing can affect a personal injury claim is if the defendant (other driver) pleads guilty at the hearing or pre-pays the traffic citation. If the defendant either pleads guilty or pre-pays the traffic citation, both of those facts are admissible in the client’s personal injury proceeding. The pre-payment of a traffic citation is considered a guilty plea based on Va. Code Section 19.2-254.1. Pursuant to Va. Code Section 8.01-418, a plea of guilty in a criminal prosecution is generally admissible in a civil proceeding, such as a personal injury lawsuit, when the prosecution arises out of the same occurrence as the personal injury claim. The Virginia Supreme Court’s decision in Chodorov v. Eley, 239 Va. 528 (1990) illustrates this point. In Chodorov, the defendant pre-paid the ticket he received. In the subsequent personal injury trial, the plaintiff introduced the traffic ticket into evidence in order to demonstrate that the defendant caused the collision. The defendant objected. The Virginia Supreme Court held that the traffic ticket is proper evidence, but that the defendant should be allowed to explain why he decided to pre-pay and not dispute the charge in traffic court. In some cases, the defendant pleads not guilty or does not even appear at the traffic hearing. That evidence is not admissible in the personal injury lawsuit, even if the judge ultimately finds the defendant guilty. In sum, the defendant must plead guilty in order for the evidence that he or she received a traffic citation to be admissible in the civil matter. The complexity of pursuing a personal injury claim can be overwhelming. 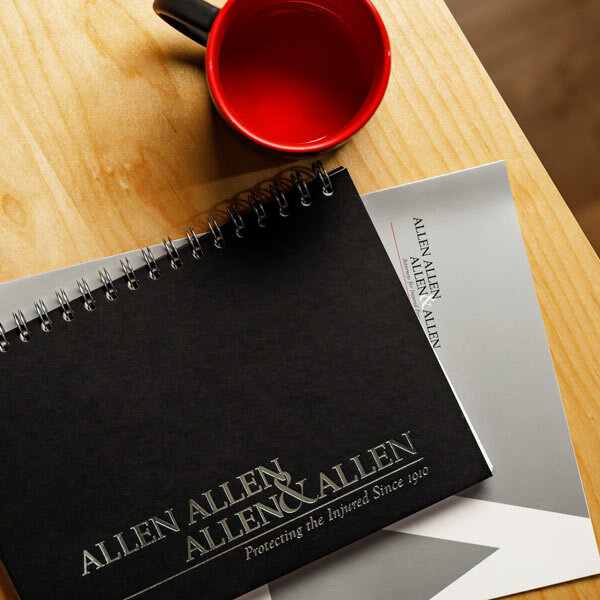 At Allen & Allen, we are experienced in handling all the issues that may arise from your claim. If you have been injured through no fault of your own, contact us for a free consultation at 1-866-388-1307.